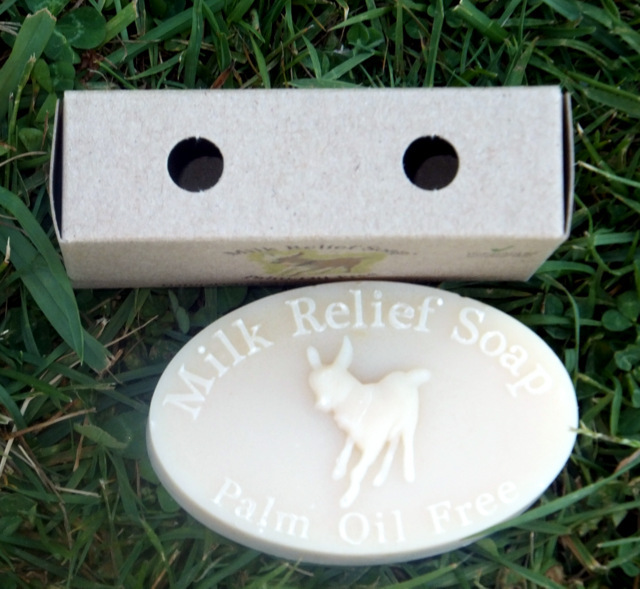 Milk Relief Soap™ is not your ordinary soap. No two bars look exactly alike. None of them look perfect and sterile – they are handmade! Milk Relief Soap™ is genuinely hand-mixed from scratch, carefully hand-poured, and left to cure naturally for several weeks. Every finished bar of Milk Relief Soap™ is unique as a result; no two bars look exactly alike. None of them look perfect and sterile like mass-produced soap. As pictured above, the underside of the bars appear a little paler and perhaps powdery at times. That is completely normal for this natural handmade soap made by the traditional cold process method. Below are some tips to ensure you get the most mileage out of Milk Relief Soap™. Unlike mass-produced soap, Milk Relief Soap™ is brimming with natural glycerin, and the glycerin attracts moisture from the air – that is how glycerin works to keep your skin moisturized. However, if the environment is particularly humid, the glycerin in the soap will attract extra moisture from the air and Milk Relief Soap™ may start to “sweat” as a result. Although this is only a sign of good soap, it’s a good idea to store Milk Relief Soap™ in a cool, dry place for that reason. 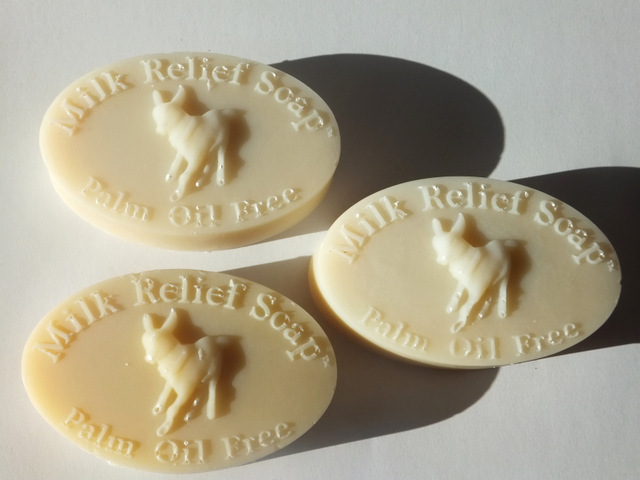 Milk Relief Soap™ will not go “off” although it is made with plenty of fresh whole milk. But it will continue to “breathe” long after its curing process has been completed. Our soap box made with 100% recycled paper comes with “breathing holes” to prevent Milk Relief Soap™ from sweating. 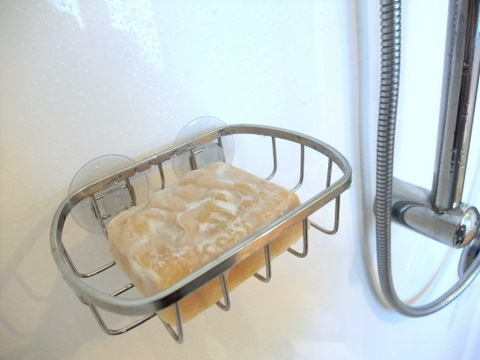 You can keep Milk Relief Soap™ for a prolonged period of time, but we recommend freezing the soap in an airtight bag or container if you intend to store it for more than six months, to prevent it from shrinking by losing too much moisture, or from sweating by drawing too much moisture in a humid environment. Yes, Milk Relief Soap™ is a “living” soap! 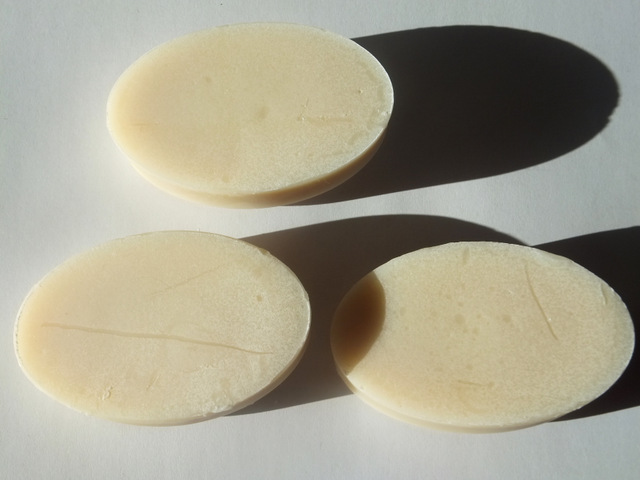 Milk Relief Soap™ does not contain any synthetic hardeners like mass-produced soaps most people are used to today, so it is important to keep this handmade soap as dry as possible between uses to prevent it from wasting away. A well drained soap dish like the one pictured above will be ideal for this purpose. There are many soap dishes out there that are made of attractive natural wood as well. You can also make Milk Relief Soap™ last longer by putting the wet bar in a well-ventilated place like a window sill during the day so that it can dry and harden before you use it again. We have been washing our hair with a bar of plain soap for well over 20 years. It’s simple. You get in the shower, wet your hair with hot water, rub your hair all over with a bar of soap, lather it up by massaging the scalp with the tips of your fingers just like you would with shampoo. Milk Relief Soap™ rinses off easily, too. By the way, when you start washing your hair with Milk Relief Soap™, your hair may feel a little oily for the first few times if you have been using commercial shampoo and conditioner for a long time. This is an indication that Milk Relief Soap™ is dissolving the buildup left by conventional shampoo and conditioner. Persevere a while and you will soon have soft, silky hair naturally without the help of synthetic agents. We have not felt it necessary to do a vinegar rinse since we started using Milk Relief Soap™, because this soap doesn’t alter our hair’s pH too much and strip it of all its natural oils. We come out of the shower, and our hair is back to its normal silky state within minutes. However, if you are going straight from conventional shampoo + conditioner to a bar of soap only, you may feel the need to use a vinegar rinse at least for a time. After a while, your hair will adjust just fine, at least from our experience. Note: Milk Relief Soap™ does not contain synthetic detangling agents found in commercial shampoos and conditioners, so if you have long hair, brushing it before washing may be a good idea. Vinegar rinse will help in this respect, too. 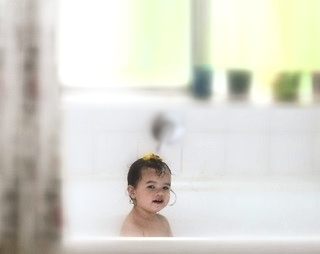 Milk Relief Soap™ is as mild as can be on your skin as well as your baby’s and children’s skin, but it is pure soap. So if you get soap in the eye, it will hurt. It is easily avoidable, though. Would you use a synthetic detergent just so that Junior’s eyes won’t hurt? 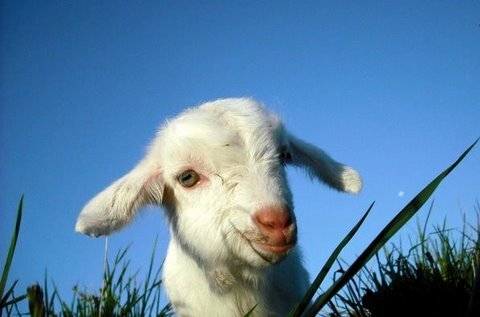 The overall benefit of using real soap made with goat’s milk far outweighs this minor “disadvantage.” Not getting soap in the eye is an obvious common sense practice as people had always known down through the centuries. We make no claims, but here is the information you may be interested. Olive oil and coconut oil kill lice by dissolving their exoskeletons. Milk Relief Soap™ contains plenty of both oils. Other oils do not offer the same effect. So, using Milk Relief Soap™ regularly on your children’s hair may assist in preventing lice. The key is to leave the lather on their hair for as long as possible. You can achieve this by starting with washing their hair with Milk Relief Soap™, and leaving it unrinsed while you wash their bodies. Please drop us a line to tell us how you got on with Milk Relief Soap™. We’d love to hear from you. Please spread the word so that others like you can find a truly earth-friendly soap which is mild enough for the most sensitive skin. To leave us feedback, please click on the link below. Do you like our soap? Do you like Milk Relief Soap™? We’d love to hear from you! Click on the button below to tell us your experience or ask us a question. Do you have a question, or does something on our website bug you? Then please feel free to get in touch with us at organic@palmoilfreesoap.com. For delivery within New Zealand, please use the correct link listed under Sister Websites. Copyright © 2009–2019 Shy Sheep Ltd. All Rights Reserved.